Radial tires or bias-ply tires a radial tire has "radial" on the sidewall. A tire not marked "radial" is a bias-ply tire. 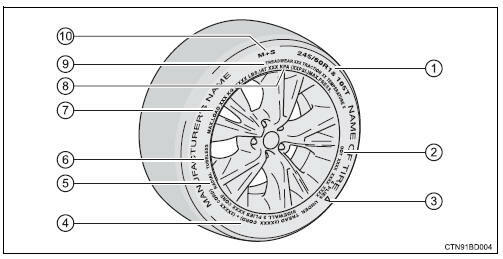 Tubeless or tube type a tubeless tire does not have a tube and air is directly put into the tire. Uniform tire quality grading for details, see "uniform tire quality grading" that follows. Summer tires or all season tires An all season tire has "m+s" on the sidewall. A tire not marked "m+s" is a summer tire. 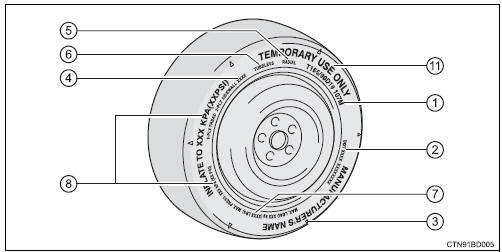 "Temporary use only" a compact spare tire is identified by the phrase "temporary use only" molded on its sidewall. This tire is designed for temporary emergency use only.